The Noble and Holy Order of the Knights of Labor, the first national movement of the American working class, began in Philadelphia in 1869. Millions of Americans, white and black, men and women, became Knights between that date and 1917. But the Knights also spread beyond the borders of the United States and even beyond North America. 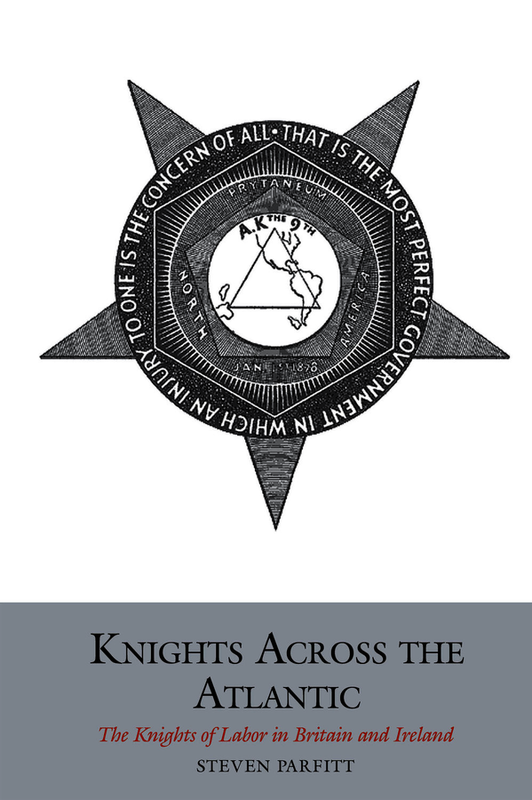 Knights Across the Atlantic tells for the first time the full story of the Knights of Labor in Britain and Ireland, where they operated between 1883 and the end of the century. British and Irish Knights drew on the resources of their vast Order to establish a chain of branches through England, Wales, Scotland and Ireland that numbered more than 10,000 members at its peak. They drew on the fraternal ritual, industrial tactics, organisational models, and political concerns of their American Order and interpreted them in British and Irish conditions. They faced many of the same enemies, including hostile employers and rival trade unions. Unlike their American counterparts they organised only a handful of women at most. But British and Irish Knights left a profound imprint on subsequent British labour history. They helped inspire the British “New Unionists” of the 1890s. They influenced the movement for working-class politics, independent of Liberals and Conservatives alike, that soon led to the British Labour Party. Knights Across the Atlantic brings all these themes together. It provides new insights into relationships between class and gender, and places the Knights of Labor squarely at the heart of British and Irish as well as American history at the end of the nineteenth century. An Open Access edition of this work is available on the OAPEN Library.